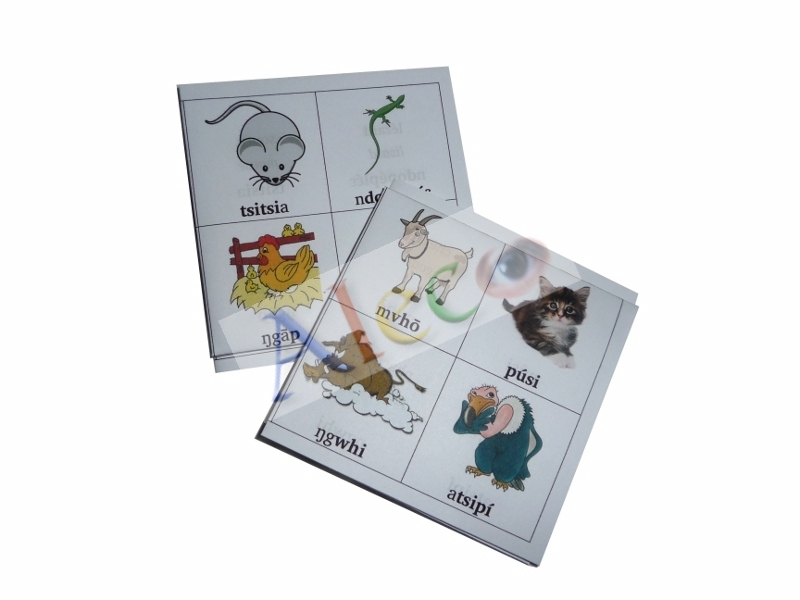 Educational cards and accessories for teaching reading, listing, understanding and writting of names for domestic and wild animals. 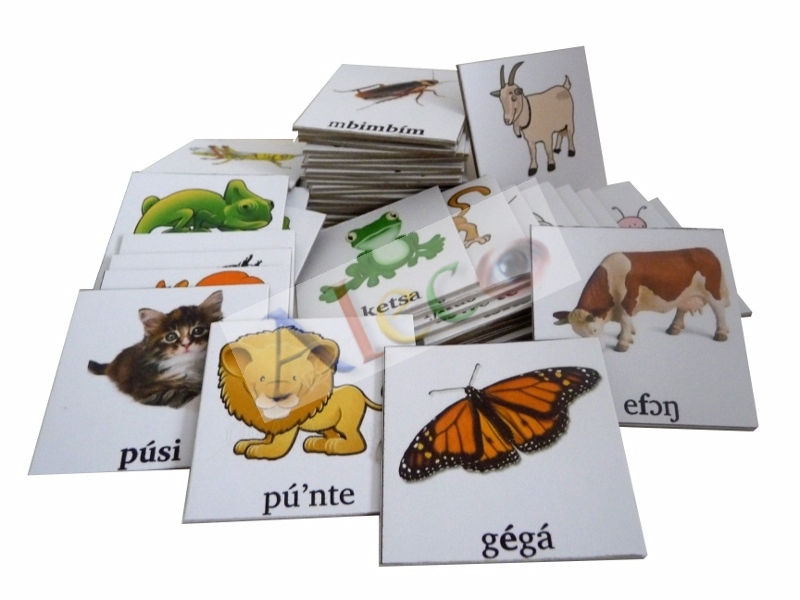 48 pieces of learning cards in strong and rigid cardboard material (2mm depth) with names for domestic animals, reptiles, insects etc. Each card shows a graphical illustration of the word, its orthography in Yemba, its translation in French and English. Accessory carton for packing 48 learning cards with names for domestic and wild animals, etc. 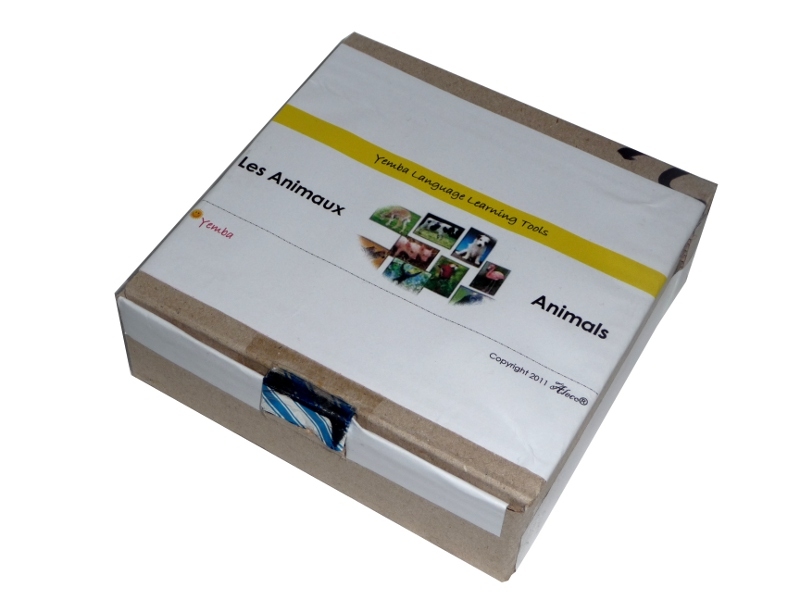 User manual for 48 learning cards with names for domestic animals, reptiles, insects etc. Example of illustrative sentences, synonyms, exercises, etc.